Poor digestion is a problem for millions of Americans. Many experience common digestive issues, such as abdominal pain, constipation, diarrhea, gas, acid reflux, and bloating. These symptoms should never be ignored. They are considered possible signs of irritable bowel syndrome, low stomach acid, leaky gut, dysbiosis, food allergies or sensitivities, Candida, parasites, malabsorption—the list goes on. Digestion problems can also cause weight gain, type 2 diabetes, heart disease, and other major health concerns. So how do you encourage better digestion? Probiotics and digestive enzymes are supplements known to help relieve digestive issues. Apple cider vinegar, dandelion greens, and arugula can also help stimulate stomach acid production. But you can also head to my herb and spice garden for other natural digestion aids. Herbs don’t just flavor your food; they are also known to benefit digestion as well. Here are a few common herbs for healthy digestion. Oregano is not just a tasty spice for your pizza sauce. It also contains important healing properties to improve your digestion. Oregano is considered a carminative; it can stimulate the digestive system and help the stomach relax. It also has anti-parasitic, anti-adhesive, and antibacterial properties, and it can help relieve intestinal gas, constipation, and other digestive issues caused by bad bacteria in the stomach. H. pylori is bacteria that can lead to stomach ulcers and stomach inflammation (gastritis). Oregano is an herb known to effectively kill the H. pylori infection, according to a study published in the World Journal of Gastroenterology. For this study, 25 herbs in total were tested. Along with oregano other efficient herbs included turmeric, borage, ginger, and black caraway. Rosemary can help calm the digestive system by acting as a nervine and circulatory stimulant. Its other digestive qualities include carminative, anti-spasmodic, anti-parasitic, and antiseptic properties. This herb can help relieve digestion issues, such as constipation, indigestion, gas, bloating, and yeast overgrowth. A study published in the journal Poultry Science found that plant extract supplementation containing rosemary, sage, and thyme would improve nutrient digestion, bowel movement, and overall digestibility during a 42-day trail. There was another study published in Oxidative Medicine and Cellular Longevity in 2012. It determined that the polyphenolic content of thyme, rosemary, and sage contributed greatly to the anti-inflammatory activity within the herbs. Thyme is also known for its ability to fight parasites and Candida, as well as relieve diarrhea, gas, cramping, and constipation. This digestive herb will also help soothe any mucus stuck within the intestinal tract. What are otherThyme is also known to contain anti-microbial, carminative, anti-spasmodic, astringent, anti-viral, anti-rheumatic, and anthelmintic properties. Sage is known to help reduce intestinal gas and bloating with its carminative, anti-spasmodic, antiseptic, astringent, and anti-inflammatory effects. The essential oils within sage can treat digestive disorders as well. In a study published in the International Journal of Case Reports and Images, sage was found to reduce diarrhea from gut relaxant components such as tannins. Sage also helps relax the nervous system, and helps with digestive concerns, such as gas, gastritis, and heartburn. Sage also has a vermifuge quality, as it helps rid the body of parasitic worms. What other herbs and spices are known to encourage better digestion? 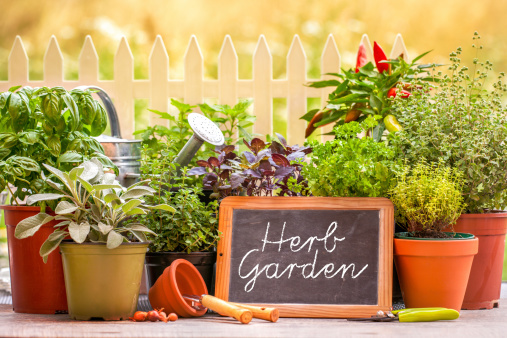 Some of the other top herbs to keep in your home include turmeric, ginger, fennel seeds, coriander, cloves, cardamom seeds, cumin, flaxseeds, fenugreek, and cayenne pepper. O’Mahony, R., et al., “Bactericidal and anti-adhesive properties of culinary and medicinal plants against Helicobacter pylori,” World Journal of Gastroenterology December 21, 2005; 11(47): 7499–7507. Godiyal, S., “6 herbs that enhance digestive health,” Natural News web site, August 8, 2014; http://www.naturalnews.com/046371_digestive_herbs_peppermint_natural_medicine.html. Hernandez, F., et al., “Influence of two plant extracts on broilers performance, digestibility, and digestive organ size,” Poultry Science February 2004; 83(2): 169–174. Hamidpour, R., et al., “Sage: The functional novel natural medicine for preventing and curing chronic illnesses,” International Journal of Case Reports and Images 2013; 4(12): 271–277, doi: 10-5348/ijcri-2013-12-408-RA-2. Chohan, M., “An Investigation of the Relationship between the Anti-inflammatory Activity, Polyphenolic Content, and Antioxidant Activities of Cooked and In Vitro Digested Culinary Herbs,” Oxidative Medicine and Cellular Longevity 2012; 2012: 627843.